I was on a Google+ Hangout with some friends and colleagues this morning as part of the Dialing 8 project and the discussion turned to the necessity of blogging. Why did we need to blog? Who was going to read what we wrote and how would that help generate business? This is a question I think about a lot. Blogging is hard for many people. It’s time consuming, frustrating and a little nerve-wracking knowing that people are going to read what you write. And nerve-wracking to think that they’re NOT going to read what you write. In talking about why blogging is so important to growing your audience and converting prospects to actual customers, it’s important to understand that, simply speaking, blogging is content marketing. Content Marketing, in the words of my friend Mike Sansone, is our online inventory. Without any online inventory, we will not be found. It’s as simple as that. Each blog post, each podcast, each video has its own unique web page. The more web pages with our names on them that are out there, the easier we will be to find (or for Google to help us be found). When thinking about how to blog, or how to create content, it doesn’t need to be complicated. Basically, effective content marketing is the art of communicating with your customers and prospects. Research shows that content drives the Internet, and consumers are looking for information, rather than sales pitches. If you deliver material that enlightens, solves problems, informs and entertains your audience, you make them more intelligent. 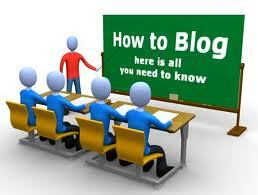 But how do you create a business blog that people will want to read? How do you learn to write in a voice that people will listen to? The best blogging advice is to write the way you want to read. Create interesting relevant content in an authentic voice. Even in a business blog it’s okay to show people that you are human. 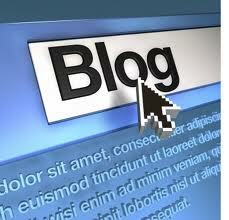 Business blogs don’t need to be anonymous and impersonal. Write material that will engage your audience and elicit comments. Stop worrying whether people will read what you write. It’s unlikely that people will read your blog, at first, anyway. Consider the first two months a practice run until you start being found. Most importantly, be consistent. Develop a schedule that you can live with and stick to it. It’s better to be at the party and stand in the corner than not to show up at all. Blogging is the core factor in developing a content marketing strategy designed to engage your audience and grow your network. While it isn’t easy to take that first step to start blogging, if you remember to be consistent, be authentic, add value and know your audience, it will undoubtedly help you develop a business blog that will create awareness over time and achieve value for your business. This entry was posted in Weekly Updates and tagged blogging, blogs, business blogs, small business, Social media. Bookmark the permalink.